Real Madrid began this current season on the back of a hugely monumental success, having secured a slice of footballing history by winning the Champions League in three successive years. Under the guidance of former French coach and club icon Zinedine Zidane, Los Blancos rallied to this incredible feat, with the help of the all-time goal scorer of both the competition and Real Madrid, Cristiano Ronaldo. Such an achievement will likely never be replicated, and certainly not anytime soon, but the Spanish giants could ultimately secure a fourth straight victory. Current coach Julen Lopetegui has a huge task on his hands in order to achieve that, but his main thoughts at the moment will be bouncing back from a slow start during domestic duties. It was always going to be a tough task to follow in the footsteps of Zidane, in light of his history-making European campaigns, but returning to form and fortunes in La Liga will help sway the fans back on his side and earn a much better reputation in the following months. The current European champions have fallen well off the pace this present term but they are regarded at 11/4 seecond favourites with bet365 in the La Liga betting to bounce back and prevail outright. (odds were correct at time of posting. Please check live odds prior to placing any bets). 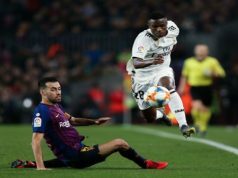 It doesn’t help matters that it’s actually surprise-package Sevilla running ahead in the Spanish league title race at the moment, followed closely by Barcelona, so bouncing back from their early setbacks is crucial in the upcoming weeks. The Galacticos currently occupy a position in the top four, but they are still keeping close tabs on those narrowly ahead of them. 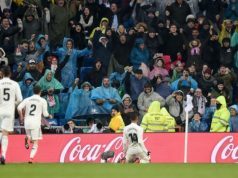 There’s no need to worry for Real Madrid fans but any more slip-ups in the near future could see the club fall off the pace, which Sevilla are setting at the summit of proceedings in the top tier. It’s still early and Real Madrid have plenty of time to regain form and momentum soon. It was always going to be a big ask to replace the gaping hole left in the squad when Ronaldo sensationally departed for Turin titans Juventus in Italy’s Serie A. The Portugal international captain had been the main man at the Bernabeu for almost a decade, rallying to top of their goalscoring charts overall and being the vital component in those remarkable Champions League victories across three consecutive seasons. 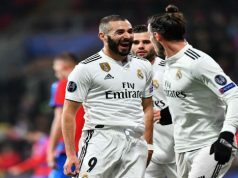 He is now gone and the attacking and goal-scoring burden has been passed across the other star forwards within the star-studded squad, including Welsh wonder Gareth Bale, France hitman Karim Benzema and Spanish playmakers Isco and Marco Asensio. There are also plenty of young talents coming through the ranks and fighting for their position, making it an exciting time for the club as they attempt to challenge current champions Barcelona and local city rivals Atletico Madrid for supremacy in La Liga this current campaign.